Günstige Lage - 1.400 m² große Suite mit eigenem Eingang - Business Ready! BITTE BEACHTEN SIE: Da wir ein ausziehbares Sofa-Bett haben, wird unser Eigentum als 3 Schlafzimmer aufgeführt. Wir haben 1 Schlafzimmer mit einem Queensize-Bett. Ein Schlafzimmer mit einem Twin-Size-Doppelbett und einem Twin-Size-Doppelbett unter dem Doppelbett. Wir haben auch ein ausziehbares Sofabett im Wohnbereich. Zusätzlich haben wir zwei Luftmatratzen. Unsere gemütliche 1.400 Suite am Fuße des Wasatch Mountain eignet sich hervorragend für Geschäftsreisen, Urlaub und zur Erkundung der großartigen Natur von Utah. Wir lieben unsere Gäste und sorgen dafür, dass sie einen wunderbaren Aufenthalt bei uns haben. Wir sind äußerst ansprechend und ermutigen die Gäste, sich vor und während ihres Aufenthalts mit allen Anfragen zu melden. We had a great time. 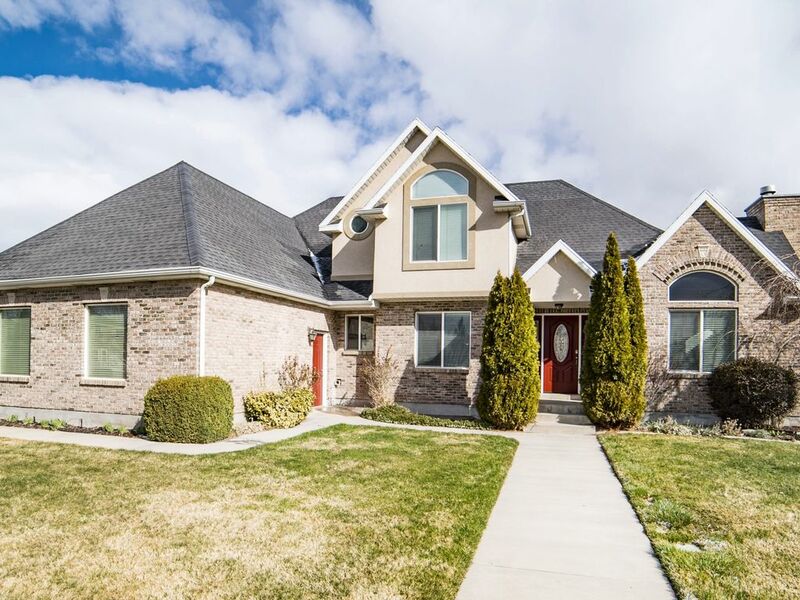 The rental was very convenient and easy access to American Fork canyon and Thanksgiving Point. The hosts very very kind and easy to work with. The perfect place to stay!!! Thank you for the clean,, Lovley and very “at home” feeling which allowed Our family to have quality time to create memories. We will plan future stays at this residence. Very well done thank you. This cozy basement space was very clean and comfortably fit our family of 5. It had everything we needed to feel at home- fully stocked kitchen and bathroom, lots of towels and blankets, fun kids play area, warm fireplace, and space to keep suitcases out of the way. We have a toddler so she stayed in the room with the bunk beds and our teenagers slept on the hide-a-bed. But there were plenty of beds for our family. One child forgot a toothbrush but there were extra new toothbrushes in the drawer. The owner provided fresh farm eggs (which we love), kept the temperature comfortable and had a snack tray upon our arrival. The owner is very accommodating and respected our space yet was available if we needed anything. We visit this area often and would love to stay here again. Great location near everything we needed. Make sure you read every bit of the description because this is a basement space. The title “Cozy,Spacious House” would be more fitting if it said basement instead of house. It also lists 3 bedrooms. We never found the third bedroom but there was a cute kidsplay area that our kids happily slept in on comforters we found in the closet. There was plenty of room for our family of 6. It was very clean, and there were many great touches: the fireplaces, Netflix, free farm eggs, the basket of snacks, iPad with a couple games and the biggest leather couch we’ve ever relaxed on. The owners are very kind and let us know they were there if we needed anything but totally respected our space. I would stay here again! Sunshine and her family were wonderful and left our place in great shape! I'm glad she clarified a couple of points about our place. For clarification, when a host on VRBO lists the beds available in their unit, VRBO defines the number of bedrooms based on the beds available and where they are located.